"We are born of love, love is our mother...." That sums up in a nutshell why Mother's Day is such a special day. I know that as every year passes, I am more grateful for my mother. And unfortunately she isn't around these days for me to let her know. I'm glad that while she was alive, I did some pretty great things for her on Mother's Day. I feel like she knew how much I loved and appreciated her. 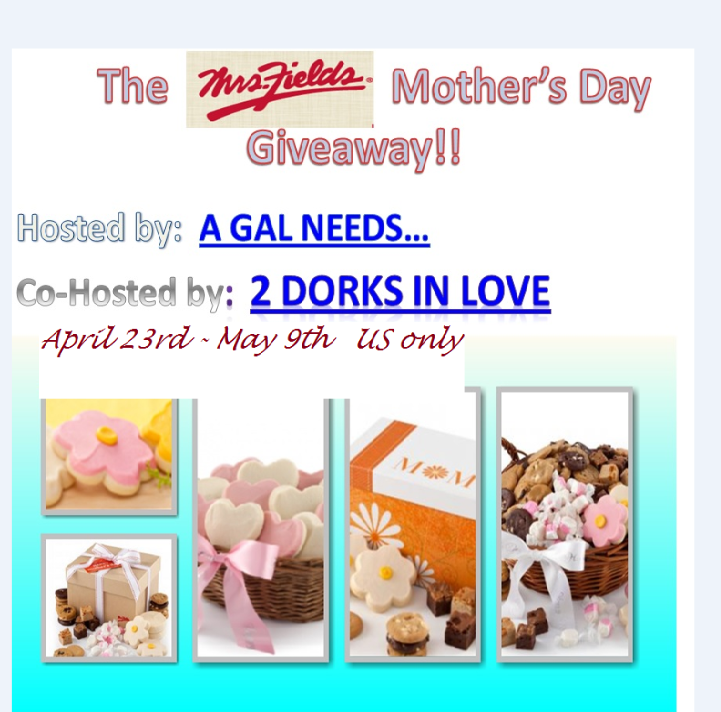 This year A GAL NEEDS...is excited to partner up with Mrs. Fields Cookies, along with Vanessa from 2 Dorks In Love and offer up the wonderful possibility of giving your mother a gift package full of those wonderful cookies, whose delightful aromas have been wafting through kitchens for over 35 years! We are reviewing and also giving away The Mother's Day Delights Sampler, a delectable and veritable smorgasbord of the most delicious cookies you could ever imagine all in one place! The package arrives with 36 assorted Nibblers® bite-sized cookies, 18 brownie bites, 4 hand-frosted cookies, 2.5 oz. 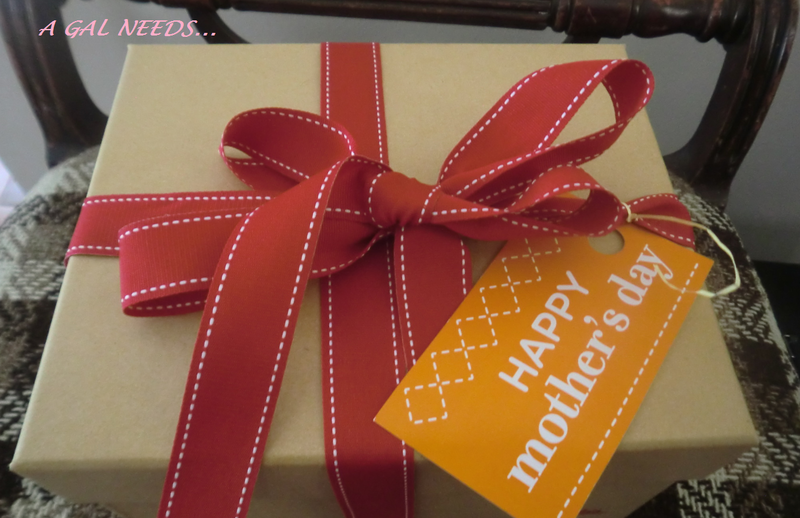 vanilla taffy and 2.5 oz strawberry taffy and a "Happy Mother's Day" gift tag. The cookies come individually wrapped so they maintain maximum freshness. Hint: Put them in the microwave for a few seconds and they taste like fresh home-baked cookies! 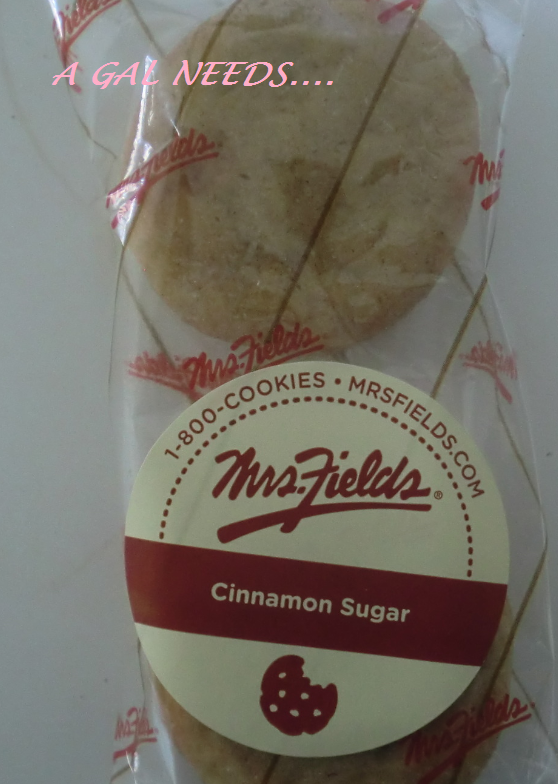 Here is a quick video of my reaction to Mrs. Fields Cookies! Now lets get to our giveaway! 1 winner will receive the Mother's Day Delights Sampler, ARV $49.99 + shipping. Thank you to the participating blogs and to Mrs. Fields for making this giveaway possible! 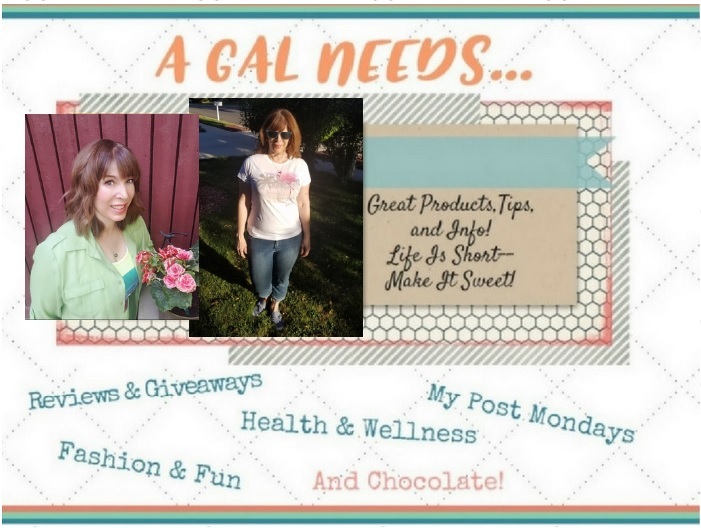 A GAL NEEDS... is not responsible for prize fulfillment! Mother's Days are always special since having my 2 kids because they make me a craft or card. I couldn't be with my mom one Mother's Day so I sent her flowers and she loved them. I love my mother so much and she's a great mom and grandmother and deserves a great gift and more! i try to make mother's day special for my mom every year. we're close though, so we spend a lot of time together. My kids make me breakfast in bed each year--I love it! Last year I was taken out to eat to my favorite steak house. Was very good! Some years Mother's Day and my husband's birthday are on the same day and we all get together and go out to eat and spend the day together. I think its more special to my Mother in Law when that happens. She is totally devoted to my husband and you can tell. But she's an awesome woman and deserves all the best things in life. My daughter is 17 and she has always bought me flowers. She makes her own cards for me by drawings and such beautiful words to inform how much she loves me and how important I am to her. She always makes me feel so special on Mother's Day. I can't wait to see what she has in store for me this year. One year, me and my family cooked three meals on Mother's Day and made our mom take the day off from doing any work besides relaxing. When I was a child, I made a bunch of "coupons" for my mother redeemable for stuff like hugs and housework. She really liked it. I bought my mom chocolate for a few years!